Tags are still available on the St. Nicholas Tree (see picture taken Nov 25, 2015). 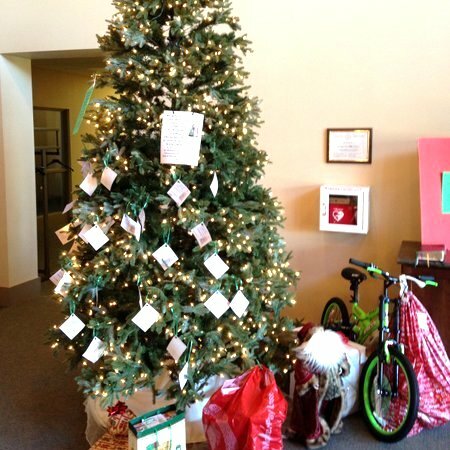 Each tag represents a child who will have a merry Christmas due to your generosity. Please take a tag and shop for one of these children, who is served by a local agency. Gifts will be received by St. Nicholas himself on Sunday, December 6, 2015. Cash donations are also welcome. Please bring or mail checks, made out to St. Paul’s with “St. Nicholas” in the memo line, to the church. Read more.